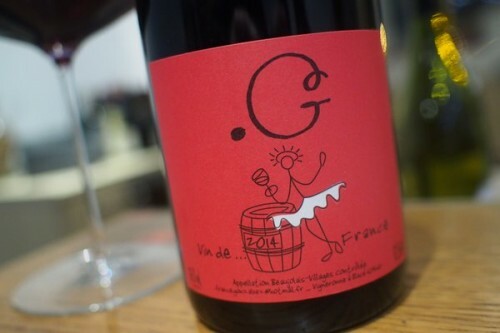 This wine is from France Gonzalvez, who works in Beaujolais. Even though it’s labelled Vin de France, it isn’t. She uses Vin de … France because of her first name, and she’ll probably get in trouble for it one day. It’s actually Beaujolais Villages. I bought it from The Sampler after trying her Nouveau 2015 on one of the enomatics (it’s really good). She started off in 2008 with half a hectare of vines and now has four.